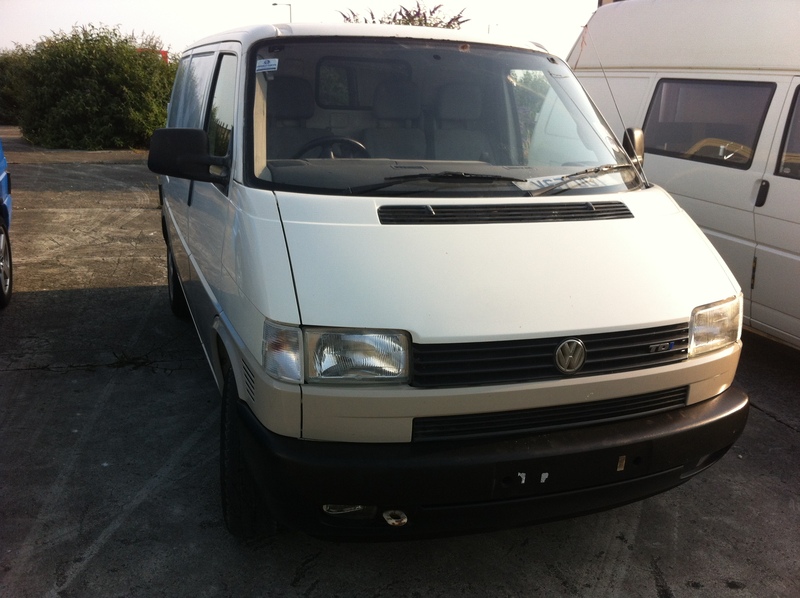 Superior VW Campervan for sale converted by Westfalia / Carthago / Reimo conversion. 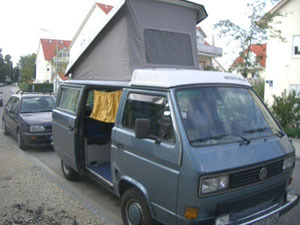 volkswagen german campers. 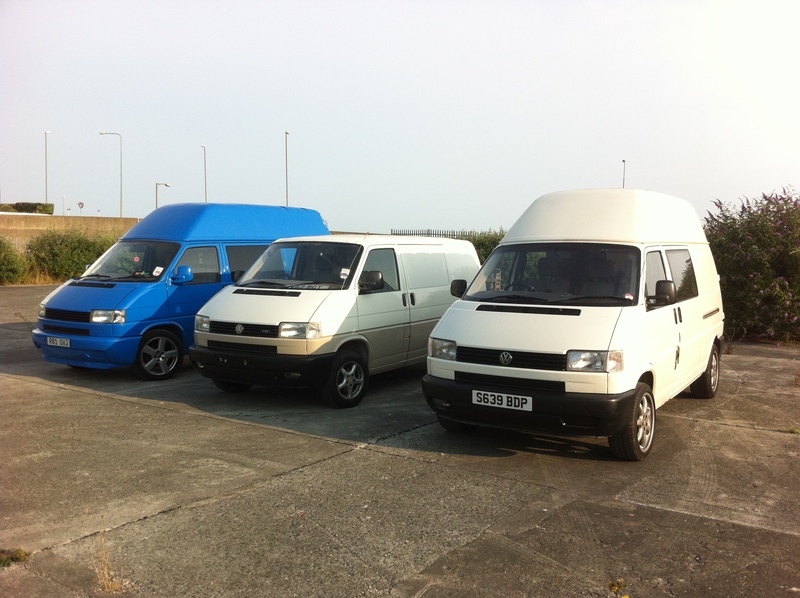 Feel free to browse through our CURRENT stock of campervans. 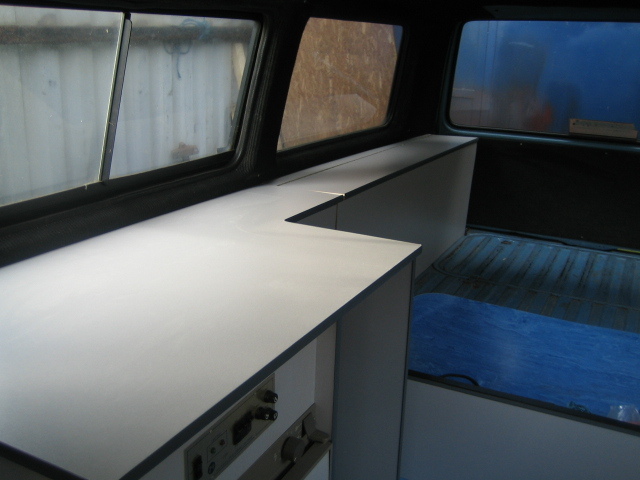 If you cannot find what you are looking for here just go to our "ask us" section and let us know the specification of your ideal camper. 1997 2.4 l DIESEL, 5 gears. 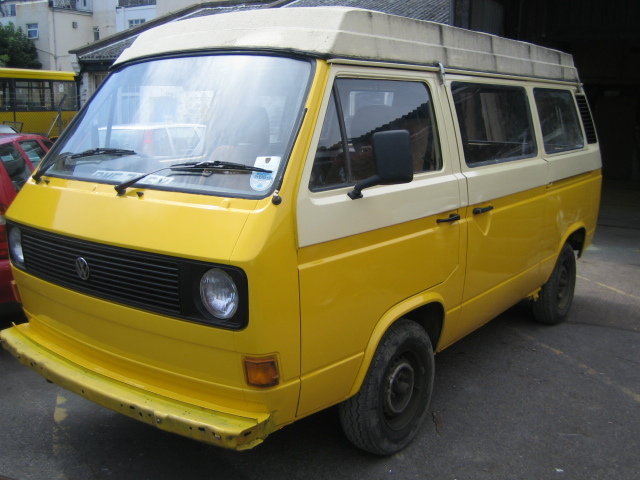 2 or 4 berth, rear sitting with seat belts. 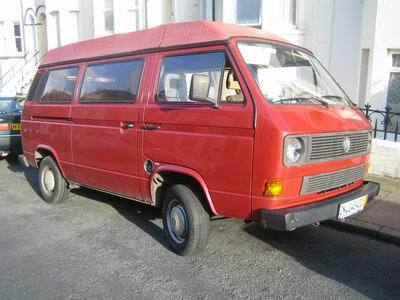 1974 1.6l Petrol, 4 gears. 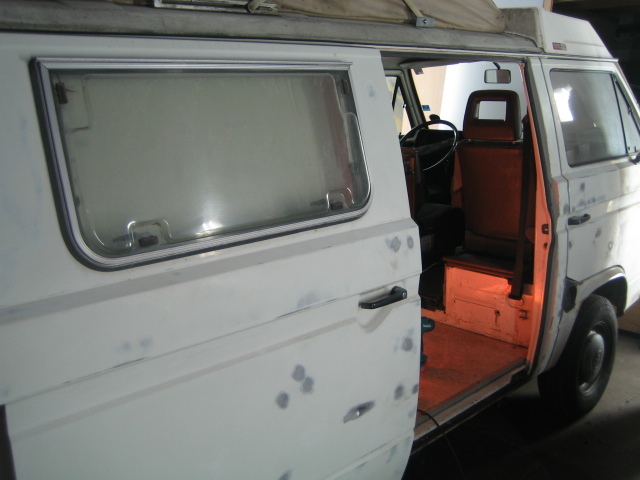 Full resoration 2 years ago, rust-free! 1986 1.6 l DIESEL, 4 gears. 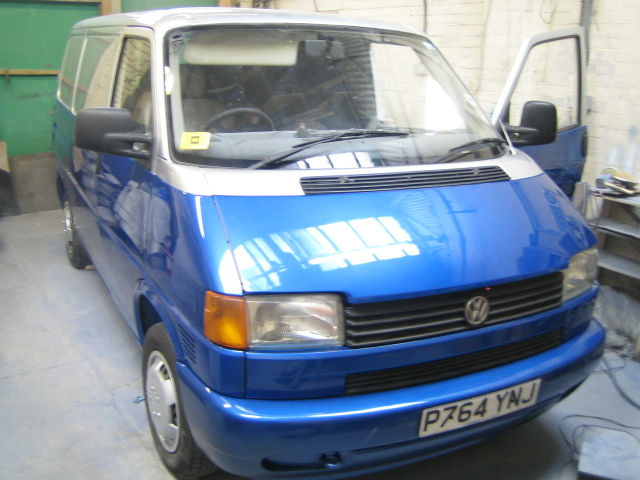 2 or 4 berth, rear sitting with seat belts. 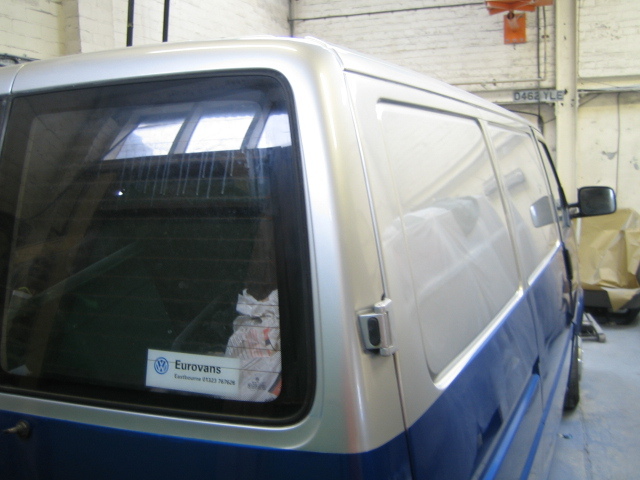 Very rare factory fitteed hightop roof AND twin sliding doors, very rare! 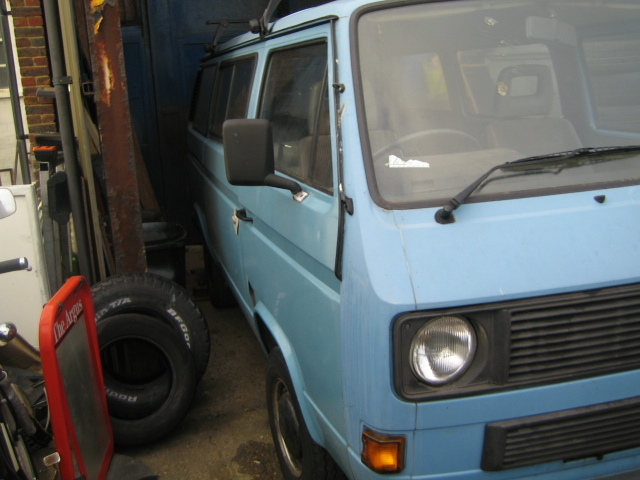 1984 1.9 l Petrol, 4 gears. 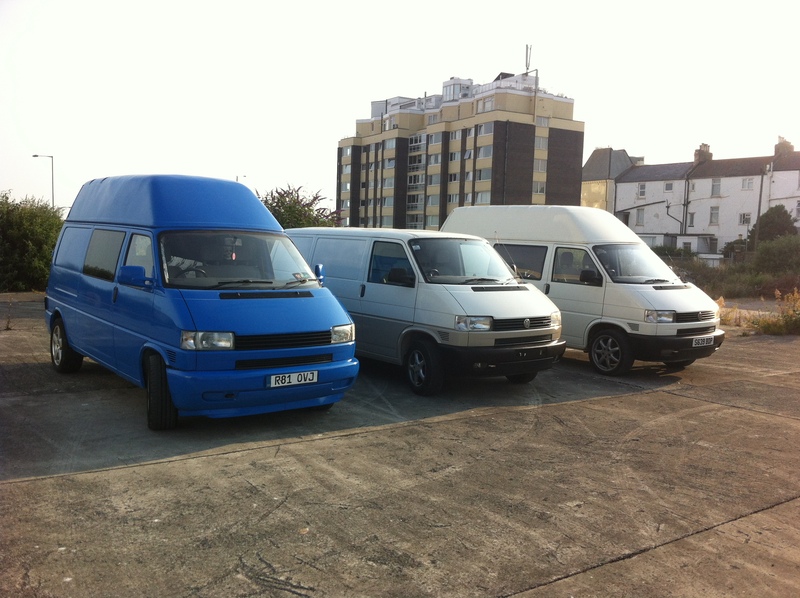 2 - 4berth, 4 sitting with seat belts. 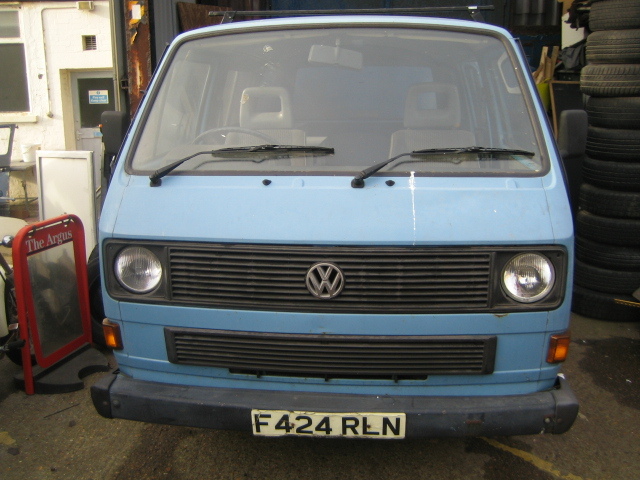 1983 1.9 l Petrol, Automatic. 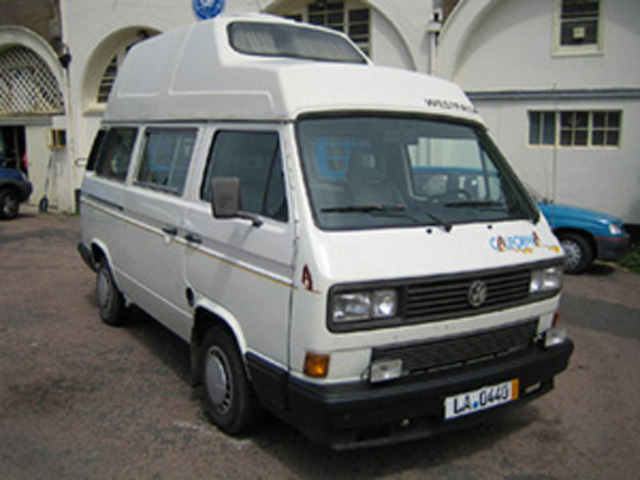 2 berth, 7 sitting with seat belts, 2 sleeping. New gearbox from VW with receipts, 5 gears. 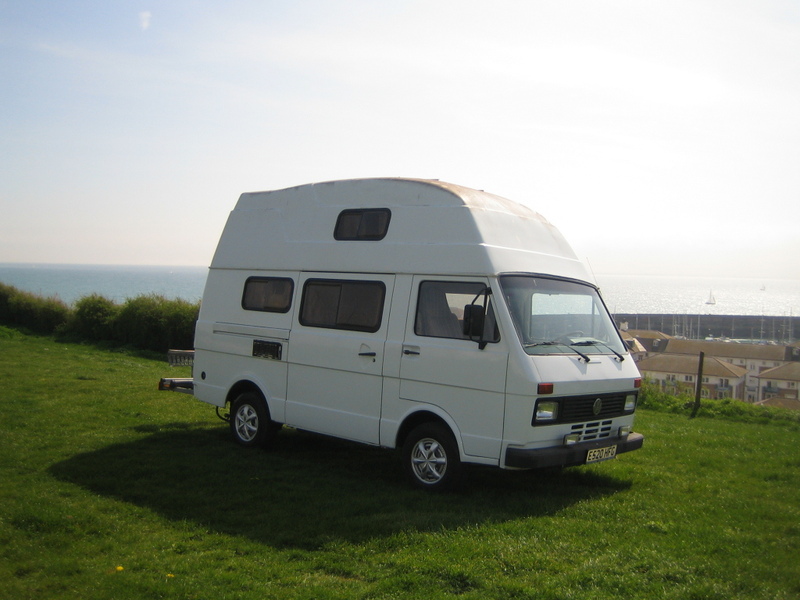 4berth, 4 sitting with seat belts, 4 sleeping. 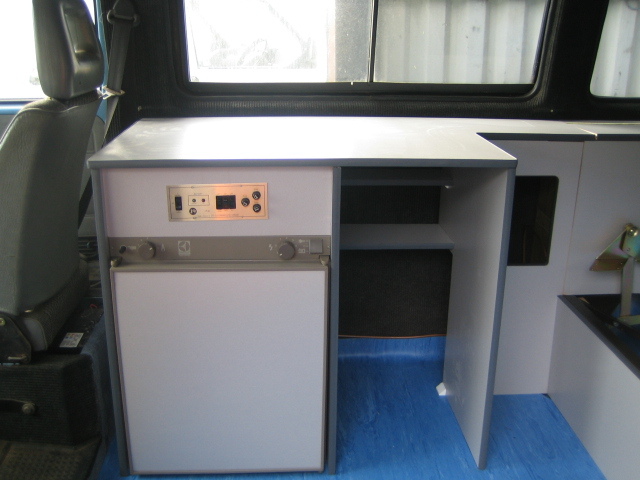 We have numerous other campers that we are preparing for Summer 2014, please let us know if you would like to discuss your requirements with us as we could convert any of our projects to your exact specification. 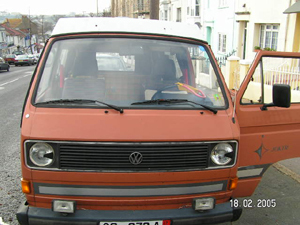 2berth, 4 sitting with seat belts, 2 sleeping. 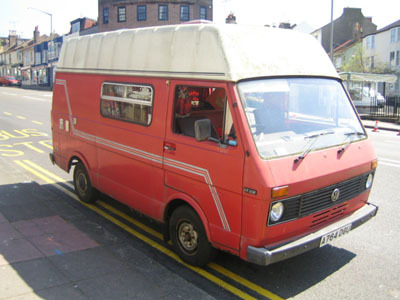 2 berth, 4 sitting with seat belts, 2 sleeping. 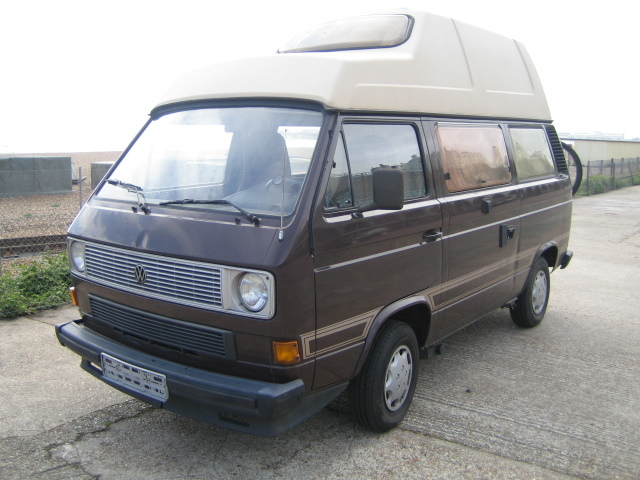 1984 1.9 l Petrol, 5 gears. 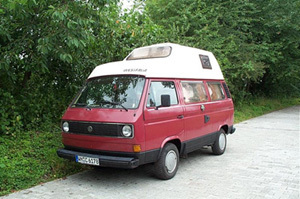 4berth, 4 sitting with seat belts, 4 sleeping. 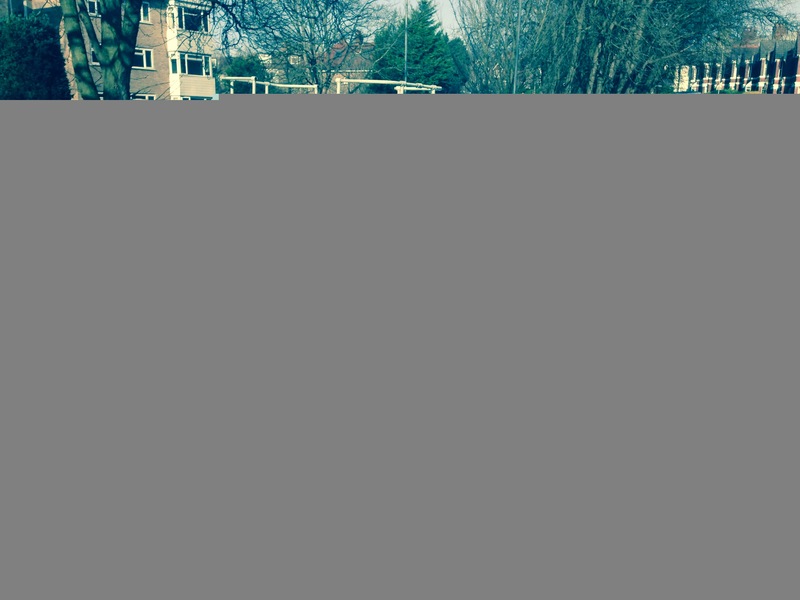 Great Devon conversion with a renovated exterior and interior. 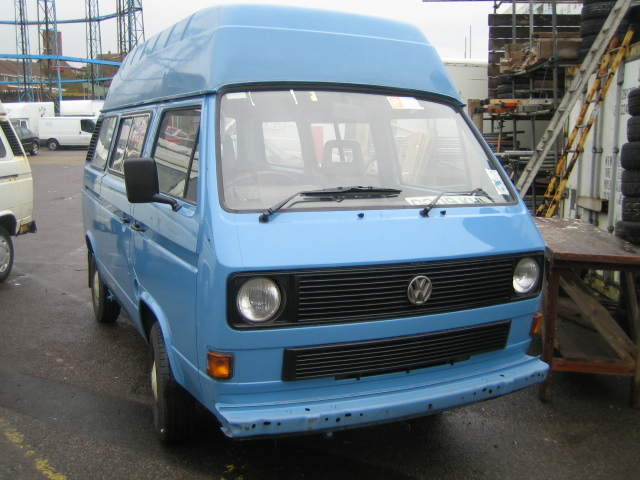 1980 2.0 l Petrol, 4 gears. 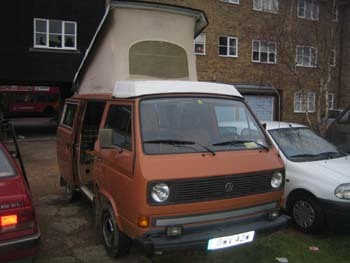 4berth, 4 sitting with seat belts, 4 sleeping. 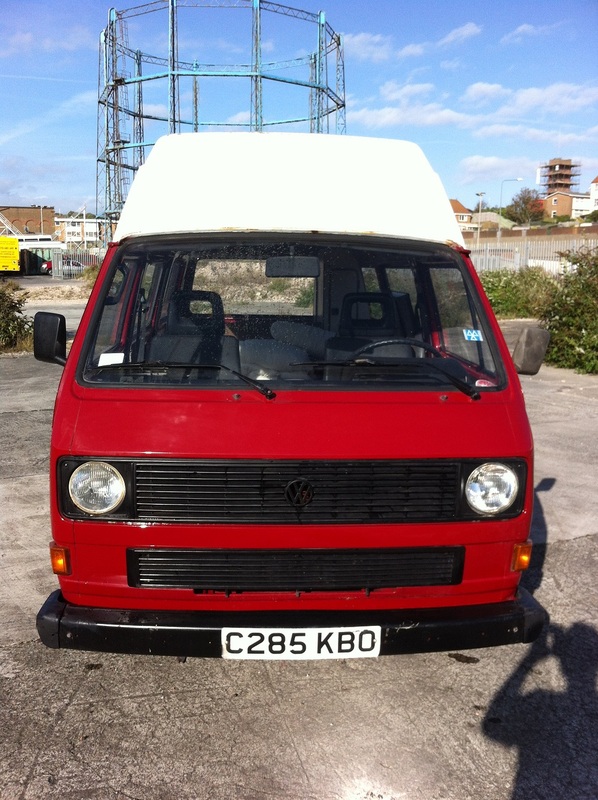 1985 1.6 TURBO Diesel, 5 gears, Power Steering. 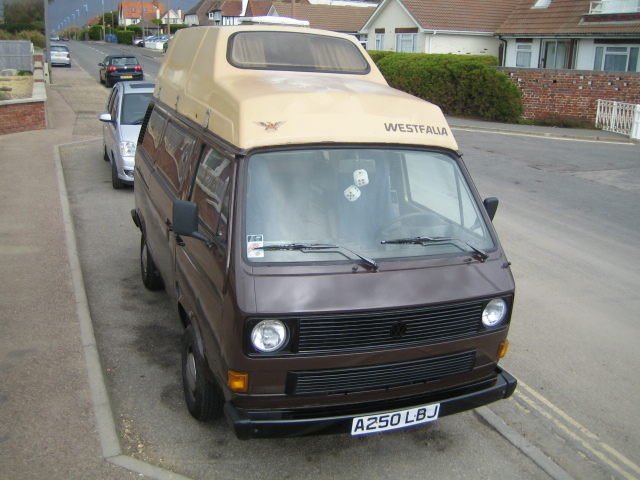 4 berth, 4 sitting with seat belts (lap and inertia seal in the rear), 4 sleeping. 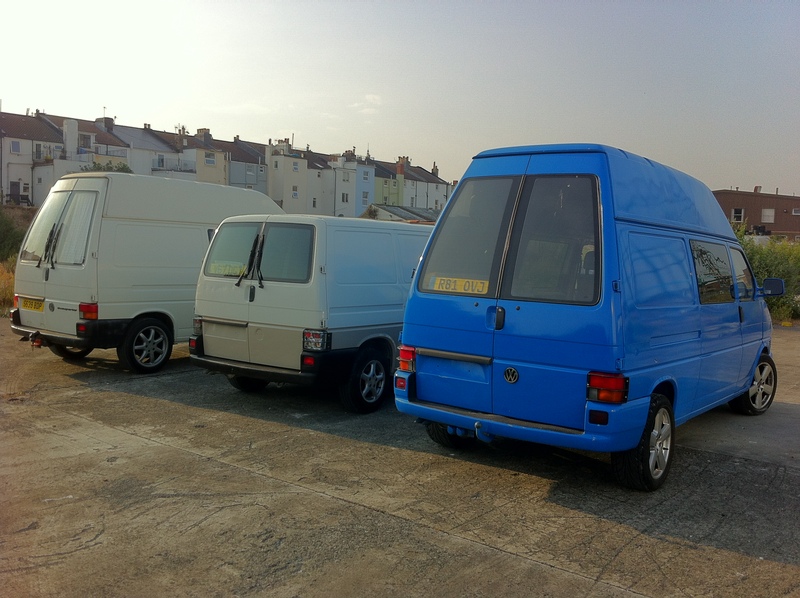 Stamped service history for the first 12 years then £1000's worth of receipts to prove that the camper has been looked after. 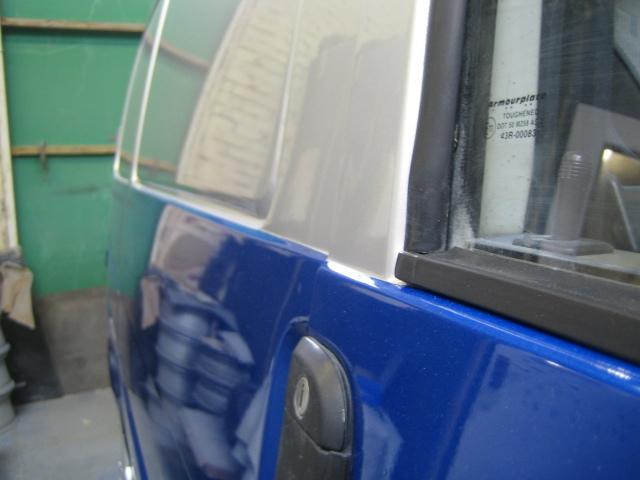 Beautiful body and paintwork. 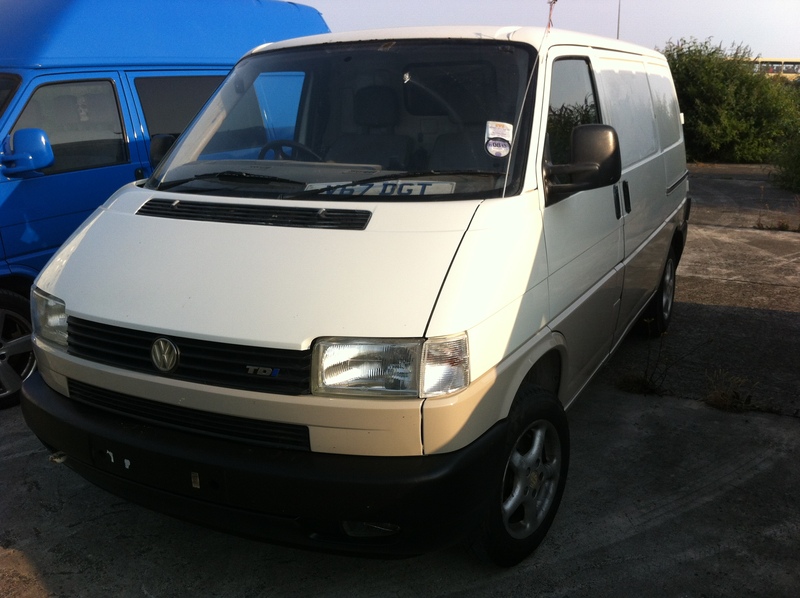 A great Carthago Poptop in excellent condition.Very rare to the UK! 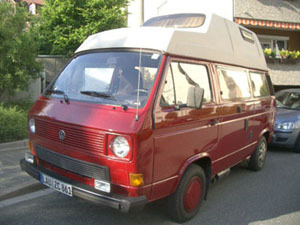 1990 1.6 l TurboDiesel 69 bhp (51 kW), 5 gears. 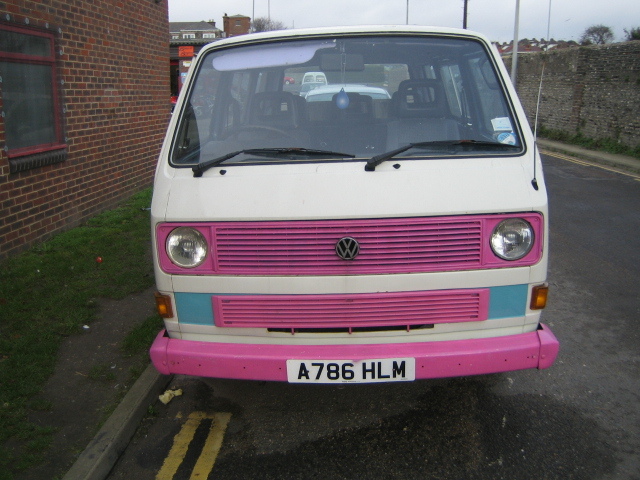 4berth, 6 sitting with seat belts. 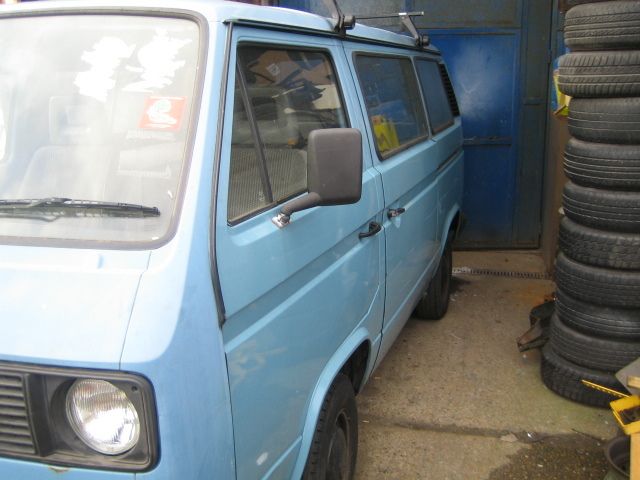 130k, lots of service history,replaced engine etc. 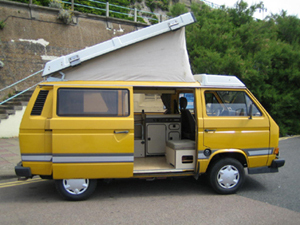 A serious campervan for the serious traveller. 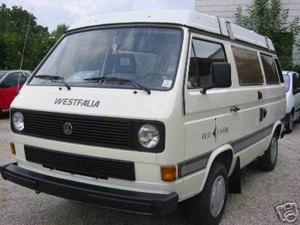 The late 80's saw Westfalia produce these top of the range campervans. 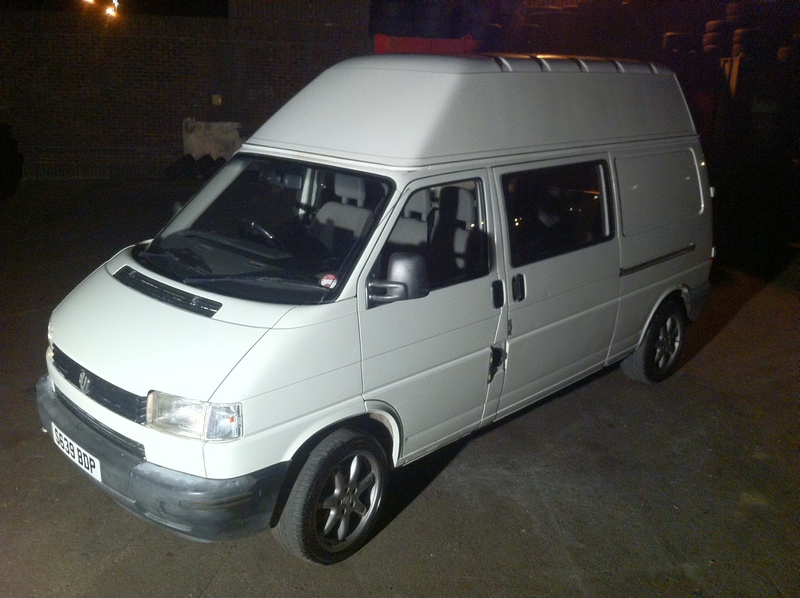 This particular vehicle has a 1.6 Turbo Diesel engine and 5 gears. 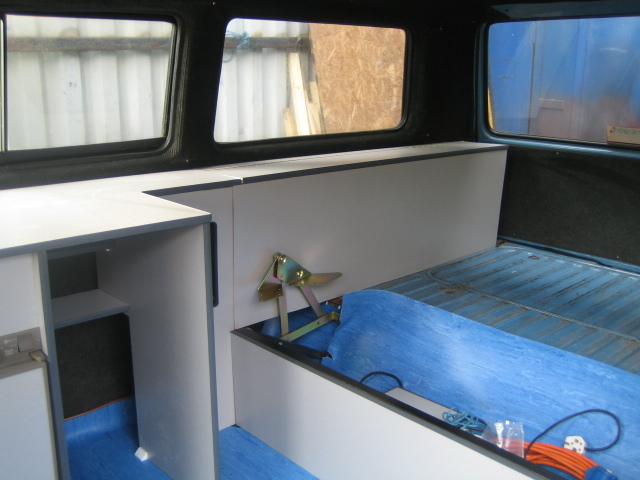 This conversion is fitted with the standard cooker, fridge, sink and heater. 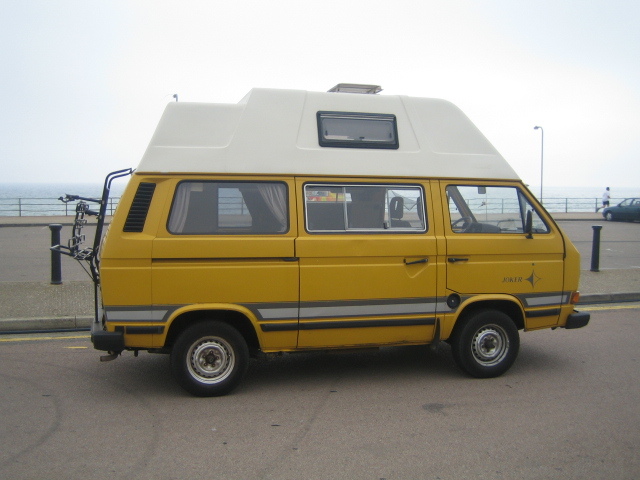 A seldom available AUTOMATIC campervan. Strong 1.9l petrol. 1981 2.0 liter good old air-cooled Petrol engine. 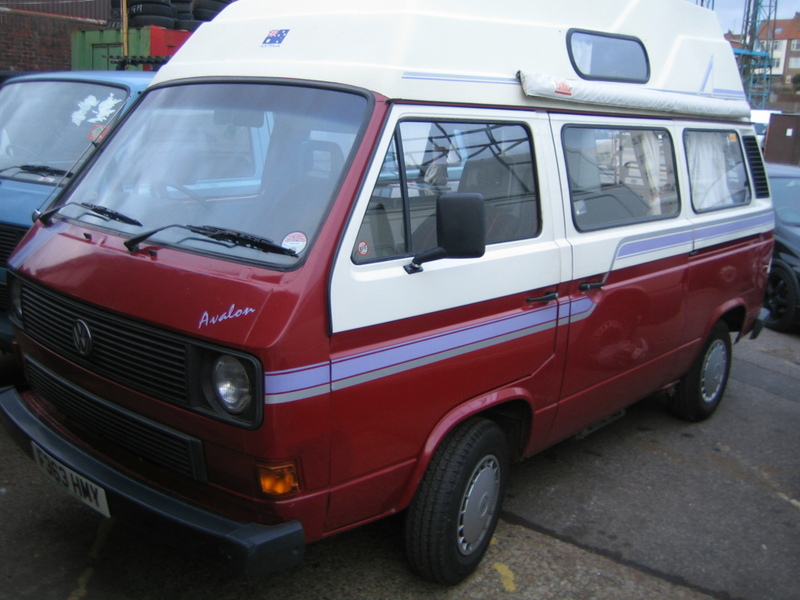 This camper is a good runner and the bodywork is in excellent order. 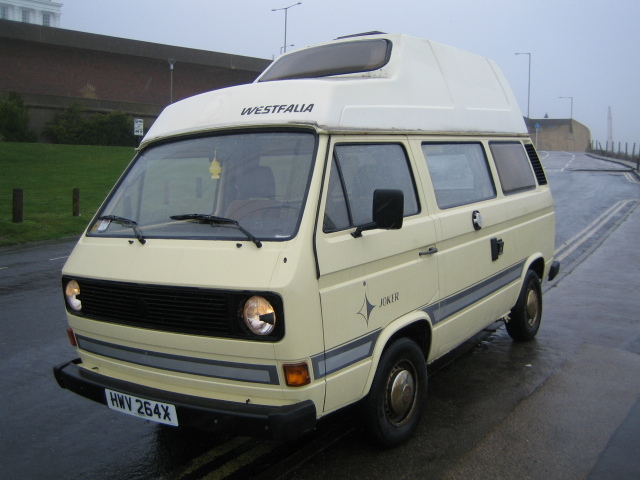 4 berth with all of the usual Westfalia fixtures. 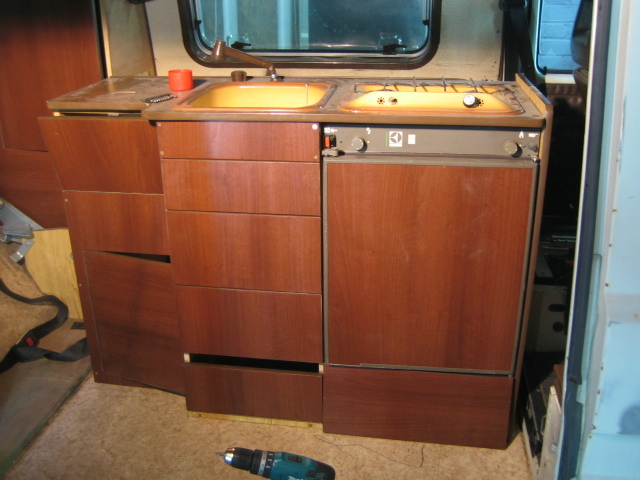 This conversion is fitted with a cooker, fridge, sink and water. 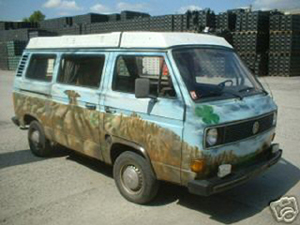 1988 2.4 liter Diesel. 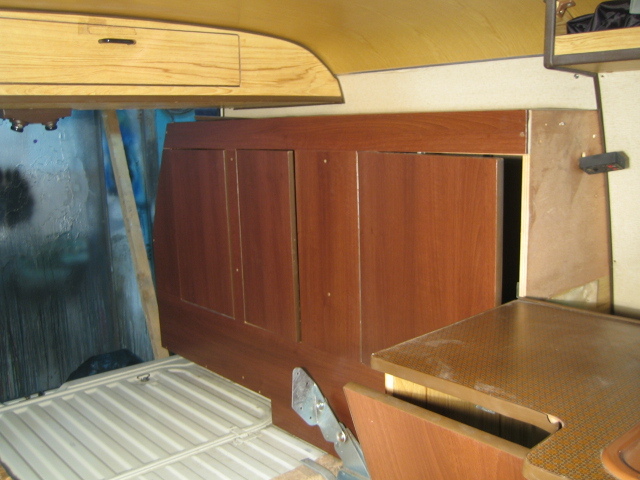 4 berth camper with tons of room. 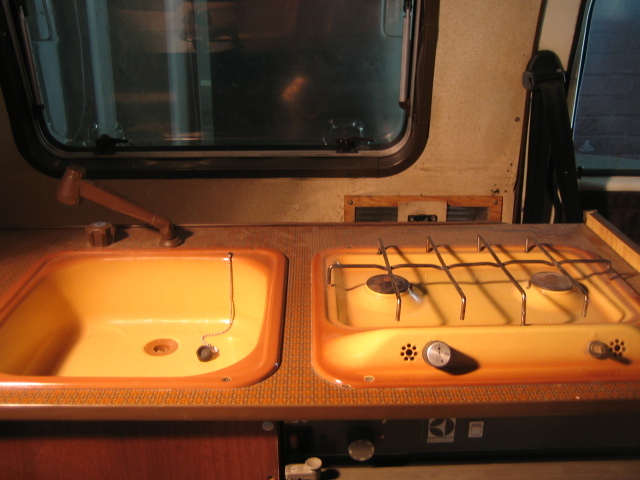 Many facilities inside including hot water, electricity, gas and even a SHOWER. 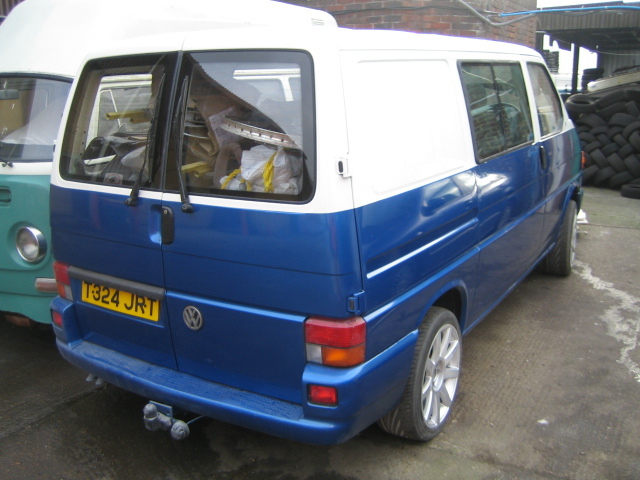 1985 1.9 Watercooled Petrol engine. 1984 1.9liter Petrol engine. 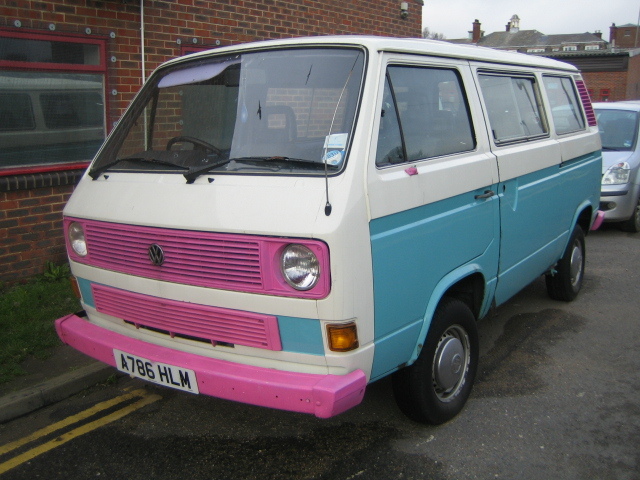 This camper is in AMAZING condition. 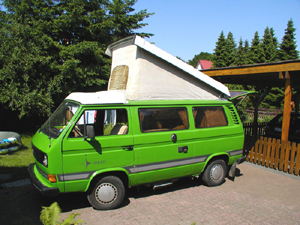 It sleeps 4 comfortably due to the huge hightop roof. 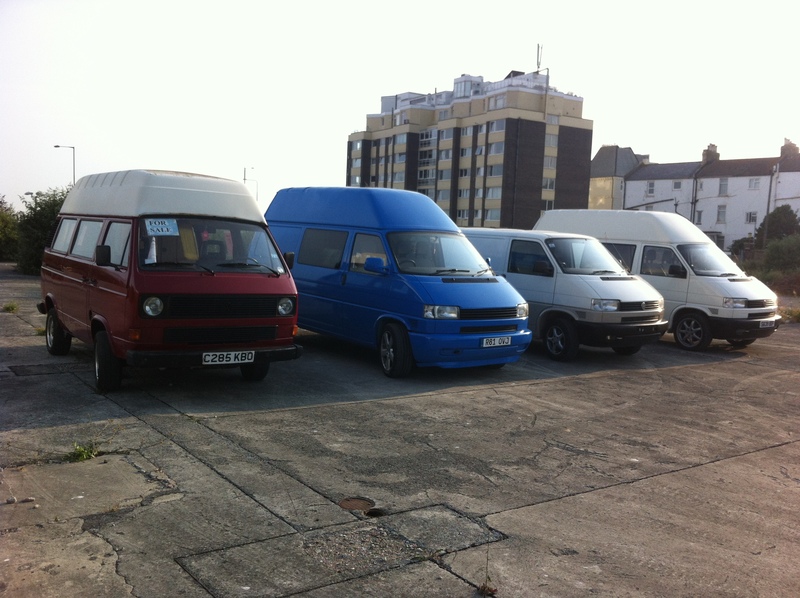 Full Westy refinements including a working fridge. 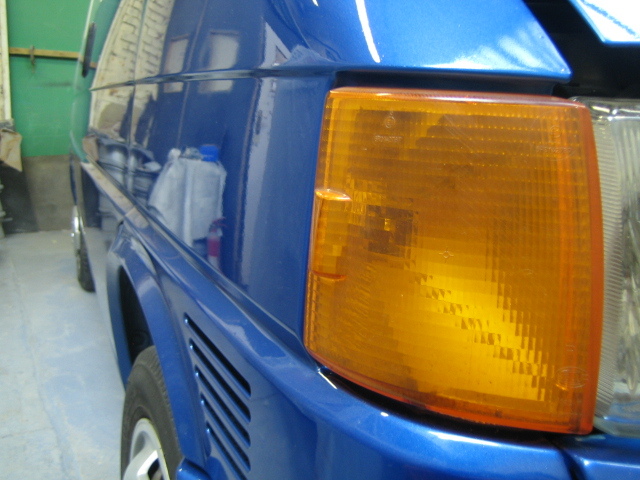 A great Westie Poptop in excellent condition. 2.0l petrol engive with 4 gears. Tyres are in good condition with good tread depth. slide opening windows. 1980 2.0liter Petrol engine. 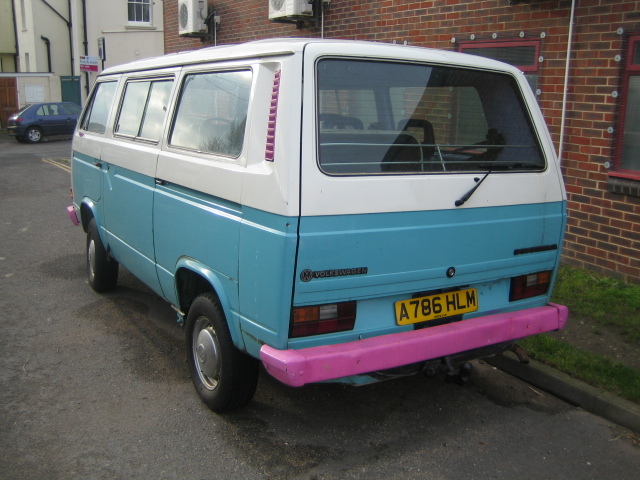 This camper is a good runner although the paintwork could do with a tidy up, or if you are artisically inclined you could add to the scene. 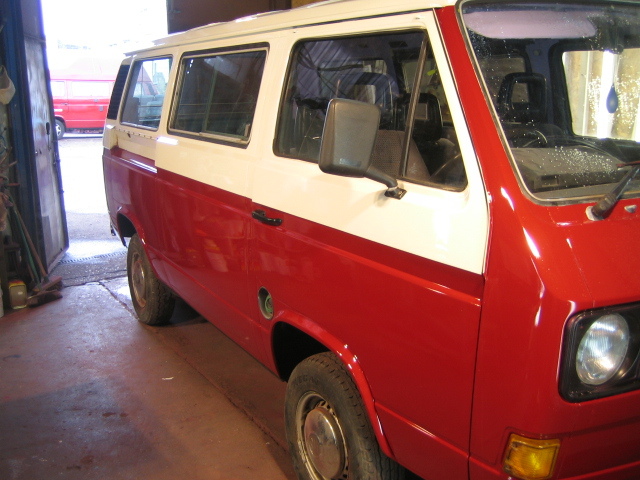 1981 2liter Petrol engine with automatic transmission. 1984 1.6liter Diesel engine. 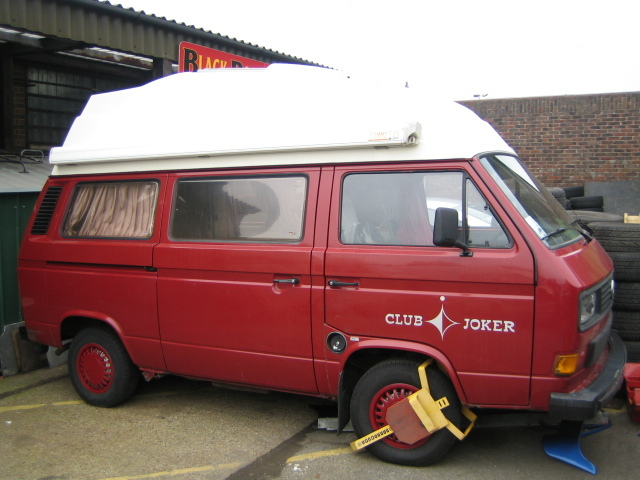 This camper only needs a polish and is then ready to go. 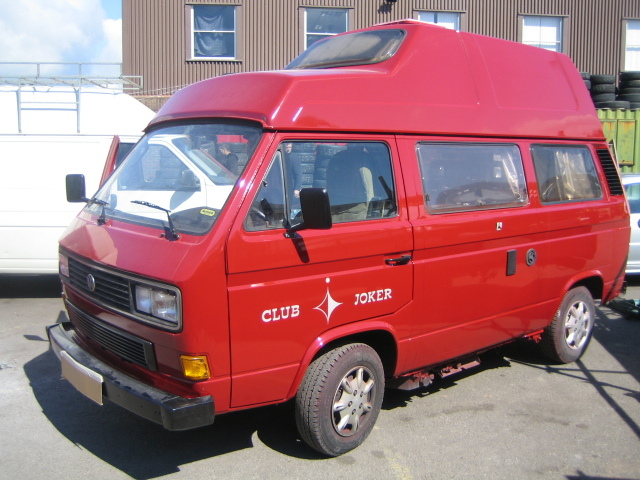 This is a 1985 Westfalia CLUB Joker, which supercedes the standard Joker. 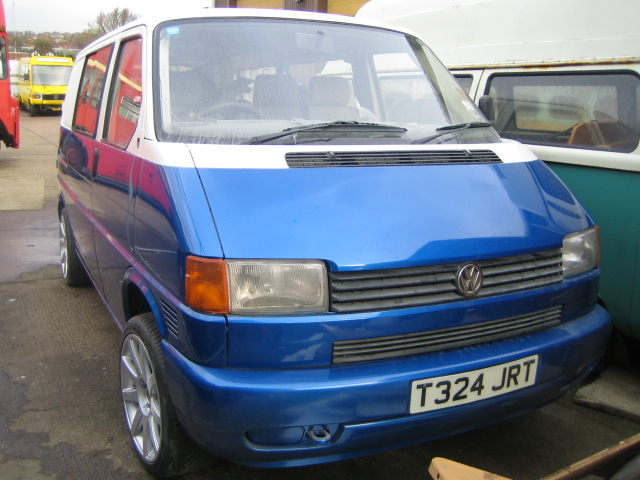 Last week it was fitted with a new engine. 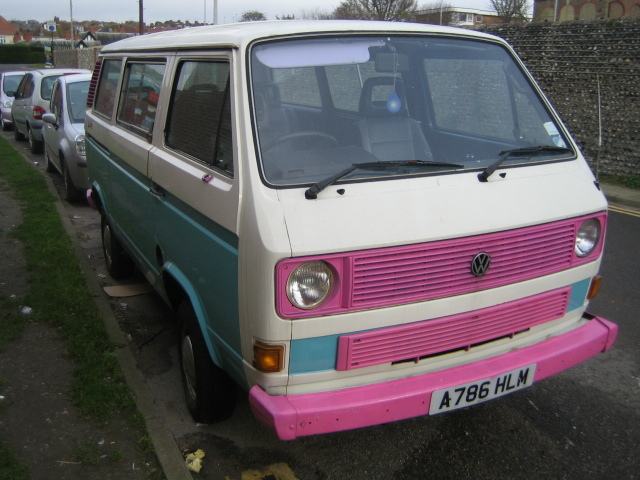 It really is a splendid camper!